Women in Ranger School! What’s with That?! No doubt if you’ve been following this story you’ve noticed the howls coming from the usual quarters. Take it with a grain of salt. There’s no reason for Ranger School to be “dumbed down” for women to pass if the mission is anything like it was when I went through. Upper body strength isn’t critical for Ranger type missions, and that includes rock/mountain climbing, rappelling, etc. The premium is on being able to pack a serious load under adverse conditions of sleep and food deprivation, tolerate extremes of heat and cold, and “function” when you’re assigned to lead small unit operations. A strong woman can do all those things. 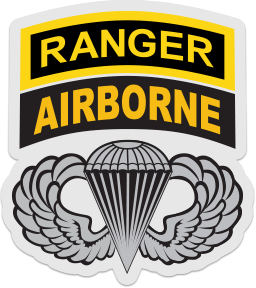 There are ranger units, but the ranger and airborne badges are also marks of prestige. Women should have the right to wear them if they can handle the physical and mental challenges. When I went through, they found out I was a good swimmer, so I was appointed “far shore lifeguard” of my ranger training unit. That meant I had to strip and carry a rope across streams when we came to them and make a rope bridge so the others could shinny across without getting wet. I suppose I would have left my jockey shorts on if women were around. Once the ranger sergeants just had me stand in freezing water up to my neck and pull the short guys across a deep spot by the webbing on their helmets. When I finally got out I couldn’t straighten out from hypothermia. We still had to wade through 600 yards of cypress swamp, but I was very fortunate to find a big fire when we finally got through that. It’s probably the closest I’ve ever come to dying, and years later four guys did die of hypothermia. They’re probably more careful now. The next day it was so cold (in Florida!) that my sodden fatigues started freezing on my body. Fortunately we all had two pair, so I stripped them off, buried them, and put on my dry ones. No doubt they’re still down there rotting away somewhere. We got one C ration a day (we’re talking about the ancient times before MREs), and were starving at the end of the swamp phase. The first signs were dizziness when you went from a prone position to standing up. Some of the guys started hallucinating at the end. My ranger buddy seriously believed he was standing in line at Mama Leoni’s Restaurant in New York City at one point. I got kind of worried about him. Occasionally Huey helicopters would pick us up to take us from one mission to another, with “aggressors” usually waiting for us when we reached our landing zones. We would sit on either side with our legs dangling over the edge holding onto a little strap “seat belt.” Those chopper pilots were crazy, and I could swear my feet brushed against the top of the forest foliage one time. By that time I was so dazed it didn’t bother me. In those days we parachuted in to Eglin for the swamp phase from a combat training altitude of 800 feet. Actual combat jumps were from 500 feet. After my stick landed I looked up and saw the next one jump. One guy’s chute was nothing but a ball of silk. His reserve caught him a fraction of a second before he would have hit the ground. When a later class jumped in a guy died when he landed on an old concrete airstrip and fell backwards, driving the rim of his steel helmet into his neck. There were a few “laig” (leg, non-airborne infantry) rangers around, but they were rare. I didn’t notice any powder rooms when we were on the march. Roughly speaking, Rommel is sixty miles or so away from winning the war. There looms up close at hand the prospect of a decisive victory – one which would involve an irreparable disaster to the Allied conduct of the war. In the mustering of forces for this battle, the enemy has now the advantage of position. At one time British convoys could still take the direct sea route to Alexandria, but German dive bombers then appeared over the central Mediterranean. By now it has actually become Mare Nostrum. The British forces in Africa and the British fleets had no planes with which to strike back in kind. British factories do not produce them. These actions (earlier fighting in north Africa) also brought into the field German medium tanks armed with 75’s (i.e., 15 pounders) against British tanks carrying nothing larger than 2-pounders. The effective range of the German guns is said to be over three times that of the 2-pounders. This contrast has dominated the fighting in Egypt since that day. The British 2-pounder is an excellent tank against infantry positions. In the naked landscape of Libya, mechanized warfare develops the situation of duels between tank and tank, or tanks against anti-tank artillery. On this footing, the heaviest British tanks were hopelessly outranged. The narrow front at El Alamein has become the keystone of the whole arch of Allied resistance east of Suez. Here, as on every other front, the pressing task is to avoid defeat – the question as to how the war is to be won does not yet arise. It had not been the first time that the Allies had had numerical superiority in men and equipment in the Western Desert, but never had it been so complete and across all arms. Furthermore, in the past—except in field artillery—they had struggled with the quality of their equipment. 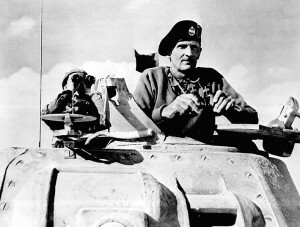 But with the arrival of Sherman tanks, 6-pounder anti-tank guns and Spitfires in the Western Desert, the Allies at last had the ability to match the opposition. In the end, the Allies’ victory was all but total. Axis casualties of 37,000 amounted to over 30% of their total force. Allied casualties of 13,500 were by comparison a remarkably small proportion of their total force. The effective strength of Panzer Army Africa after the battle amounted to some 5,000 troops, 20 tanks, 20 anti-tank guns and 50 field guns. A military hitorian who served with distinction on the staff at GHQ in the First World War, T. H. Thomas is well qualified to appraise the developments of the war. I have no information on what became of him after he penned the article, although I didn’t put a great deal of Google time in searching for him. If he had written the same stuff in Germany or the Soviet Union, no doubt he would have been shot as a defeatist. However, the Allies were remarkably tolerant of pacifists and defeatists during the war. I suspect that such tolerance played a major role in the rapid collapse of France, and may have cost Hitler’s other enemies dearly if he had not been so completely outmatched by the forces arrayed against him. Be that as it may, there were many other T. H. Thomases writing similar disinformation about Hitler and the phenomenon of Naziism, the likelihood of war, the probable outcome of the war, etc., during the 30’s and 40’s. I know of none whose careers suffered significantly as a result. Apparently they just swept their past mistakes under the rug, and kept writing more of the same. Fast forward 70 years, and a new generation of pundits has been busily enlightening readers as to the reasons why either Mr. Obama or Mr. Romney will inevitably win the election. Half of them, more or less, will be wrong, and the other half, more or less, will be lucky. Given the number of pundits and the laws of probability, a random few will be very lucky, predicting not only the outcome, but the exact tally of votes in the electoral college. No doubt these lucky ones will be celebrated as geniuses, at least until the next election. Except for Cassandra, successful fortune tellers have always prospered. However, those who put too much faith in them would do well to recall the example of Mr. Thomas. We’ve witnessed a remarkable paradigm shift in the behavioral sciences in the last couple of decades in the aftermath of the collapse of Blank Slate orthodoxy. A similar one has happened in politics with the collapse of Communism. A significant fraction of our species are attracted to messianic ideologies as moths to a flame. For many years, Communism was the brightest flame around. However, it suffered from the Achilles heal of all secular religions. It promised paradise, not in the realms of the spirit, but here on earth. Predictably, it couldn’t deliver, and so eventually collapsed. That left something of a vacuum for those hankering to be the saviors of mankind. No new secular religion was waiting in the wings to take up the slack. But nature abhores a vacuum, so they had to make do with one of the traditional, spiritual religions; Islam. The resulting ideological paradigm shift has presented us with one of the most remarkable political spectacles history has to offer. On the ideological left, former Marxist true believers, militant atheists who scorned religion as the opiate of the masses, are being displaced by a new generation of activists who find to their dismay that radical Islam is, at least for the time being, the only game in town. The result has been a grotesque love affair between the would be liberators of the oppressed masses and one of the more obscurantist forms of religious fundamentalism on the planet. Those who once despised religious belief have now become some of its most outspoken apologists. One organising feature of this article is what it calls the ‘Religious War Audit’. BBC asked us to see how many wars had been caused by religion. After reviewing historical analyses by a diverse array of specialists, we concluded that there have been few genuinely religious wars in the last 100 years. The Israel/Arab wars from 1948 to now, often painted in the media and other places as wars over religion, or wars arising from religious differences, have in fact been wars of nationalism, liberation of territory or self-defense. This is a typical feature of the recent crop of articles emanating from the apologists for religion on the left. Just as good Marxists or defenders of “Confederate Heritage” will tell you that the U.S. Civil War wasn’t really about slavery, even though at the time it actually happened the leaders and population of the south, the leaders and population of the north, foreign observers of U.S. politics, and, no doubt, any aliens who happened to be hovering around in their flying saucers would have agreed it was about slavery, they tell us that many of the wars that merely seem to the casual observer to be about religion are really caused by nationalism, imperialism, territorialism, etc., etc. If nothing else it’s a safe strategy. Take any war you like and, no matter how much the actual participants had deluded themselves into believing they were fighting about religion, any historian worth her salt will be able to “prove,” based on abundant citations, references, and historical source material, that it wasn’t about religion at all. Ostensibly secular wars can be transmogrified into “religious” wars just as easily. The Islamic tradition provides for limits on the use of force in war similar to those found in the Christian tradition: ‘Never transgress limits, or take your enemy by surprise or perfidy, or inflict atrocities or mutilation, or kill infants’; and ‘Never kill a woman, a weak infant, or a debilitated old person; nor burn palms, uproot trees, or pull down houses’. The Koran also provides for the humane treatment of prisoners of war: ‘And they feed, for the love of God, the indigent, the orphan, and the captive’ [Koran 76:8-9]. The punishment of those who wage war against Allah and His messenger and strive to make mischief in the land is only this, that they should be murdered or crucified or their hands and their feet should be cut off on opposite sides or they should be imprisoned; this shall be as a disgrace for them in this world, and in the hereafter they shall have a grievous chastisement. After this exegesis of the holy books, the article provides a pair of tables purporting to show that the role of religion in the wars prior to and during the 20th century has been minimal. In the case of the 20th century, for example, the role of religion is supposedly zero on a scale of 0 to 5 for World War I and one on the same scale for World War II. In fact, in the case of WWI, the war was explicitly declared a religious war (jihad) by the religious leaders of Turkey, one of the major combatants. Many tens of thousands of Jews were murdered, frozen and starved in pogroms or as they were forcibly removed from areas stretching back many miles from the front lines by the Orthodox Christian rulers of Russia, and over a million Christian Armenians were murdered by the Moslem rulers of Turkey. By all accounts, the assurance that the war was not religious did little to relieve their suffering. He hated his father for putting his whole life in the shade and for emotionally blackmailing him. He hated his mother for physically and mentally badgering him to fulfill her wishes. But the hatred also explains his radical transformation into an authoritarian fundamentalist. By totally identifying with an extreme version of their strict, religion-fuelled beliefs, he jailed his rebellious self. From now on, his unconscious hatred for them was channeled into a fanatical moral crusade to rid the world of evil. As the commander in chief, Bush dominates US foreign policy especially in regards to the war on terrorism that is presently the US government’s major military commitment. His plans, however influenced by advisors, arise from his personal view of the world and his concepts of justice, retribution and peace. Clearly his past and his relationships impact these views and ultimately help shape those of the American state. Therefore individual leaders’ psychology is perhaps an underrated area of study in the debate on God and war and could do with further analysis. What an understatement! Why, that crazed religious fanatic had his finger on the nuclear trigger for eight years! How wonderfully ironic! After spending so much time and effort to create an ideologically driven mirage of religion as benign and peaceful, in the end the authors upset their own apple cart because they couldn’t stifle their ideologically driven need to portray Bush as the personification of evil, complete with all the religious fundamentalist trappings. By their own account, religion nearly inspired, not merely a war, but the mother of all wars, a nuclear holocaust that might have exterminated our species once and for all. “Further analysis” indeed! Maybe we should have listened to the New Atheists after all! When I embarked upon the enterprise of collecting literature on human primitive war some 15 years ago – with the objective to understand the origin of this puzzling and frightening phenomenon of intrahuman, intergroup killing – little did I suspect that some ten years later that subject would be very much alive and kicking in disciplines as diverse as cultural anthropology, ethology, evolutionary biology and sociobiology, and the socio-ecological branch of primatology, generating an abundance of novel and intriguing theories, engendering new waves of empirical (cross-cultural) research, and lots and lots of controversies. At that time, the question of the origin and evolution (if any) of human warfare was a totally marginal and neglected domain of investigation. Among polemologists (or peace researchers as they are known in the Anglosaxon language area), there seemed to be an unshakable consensus that war was a cultural invention and social institution, which had originated somewhere in Mesopotamia some five thousand years ago (It actually was, and still is, a curious blend of the credos of the Margaret Mead school of anthropology, the simplistic dogmas of behaviorist psychology, and a historicist sociology – all consenting to the tabula rasa model of human behavior, i.e., the assumption of infinite plasticity and sociocultural determinism – inexplicably mixed with assumptions of a static Human Nature derived from the Realist school of political science). Such a conception precluded any evolutionary questions: war had a history and development, but no evolution in the Darwinian sense. He’s right, as anyone who was around at the time and happened to take an interest in the behavioral sciences is aware. It seems almost incredible that whole branches of what were charitably referred to as “sciences” could have listened to the doctrine that “war was a cultural invention and social institution, which had originated somewhere in Mesopotamia some five thousand years ago” without breaking out into peals of laughter, but so it was. They not only listened to it without cracking a smile, but most of them actually believed it. One would think the idea that a phenomenon that has been ubiquitous across human cultures on every continent since time immemorial was just a “cultural invention” must seem palpably stupid to any ten year old. It was, nevertheless swallowed without a murmur by the high priests of the behavioral sciences, just as the dogmas of the trinity and transubstantiation in the Eucharist are swallowed by the high priests of more traditional religions. The Blank Slate is now dead, or at least hibernating, and the behavioral sciences have made the startling discovery that there is such a thing as human nature, but there is still a remarkable reticence to talk about warfare. It’s not surprising, given the political proclivities of the average university professor, but dangerous, nonetheless. In a world full of nuclear weapons, it seems that a serious investigation into the innate origins of warfare might be a profitable use of their time. With self-understanding might come insight into how we might give ourselves a fighting chance of avoiding the worst. Instead, the learned doctors feed us bromides about the gradual decline of violence. A general nuclear exchange is likely to provide them with a data point that will somewhat disarrange their theories. Perhaps it would be best if they started by taking a good look in the mirror, and then explaining to us how so many so-called experts could have been delusional for so long. What were the actual mechanisms that allowed secular religious dogmas to hijack the behavioral sciences? The Blank Slate is not “archaic science.” It was alive and well less than two decades ago. Why is it that we are now supposed to trust as “scientists” people who were so wrong for so long, shouting down anyone who disagreed with them with vile ad hominem attacks? Instead of seeking to understand this past debacle and thereby at least reducing the chances of stumbling into similar debacles in the future, they invent a few self-serving yarns about it, and just keep plodding on as if nothing had happened. Perhaps we should be counting our blessings. After all, the idea that war is a mere “cultural innovation” is no longer in fashion. Occasionally, it is actually mentioned as a manifestation of certain unfortunate innate predispositions, usually along with comforting words about the decline in violence noted above, expanding our “ingroups” to include all mankind, etc. Given the ferocity with which the spokespersons of the “progressive” end of the political spectrum generally favored by professors of the behavioral sciences attack anyone who disagrees with them, I personally am not particularly sanguine about that possibility. Well, perhaps if a nuclear war does come, they will finally get serious and come up with some sound advice for avoiding the next one. Unfortunately, finding publishers to spread the good news might be a problem at that point.